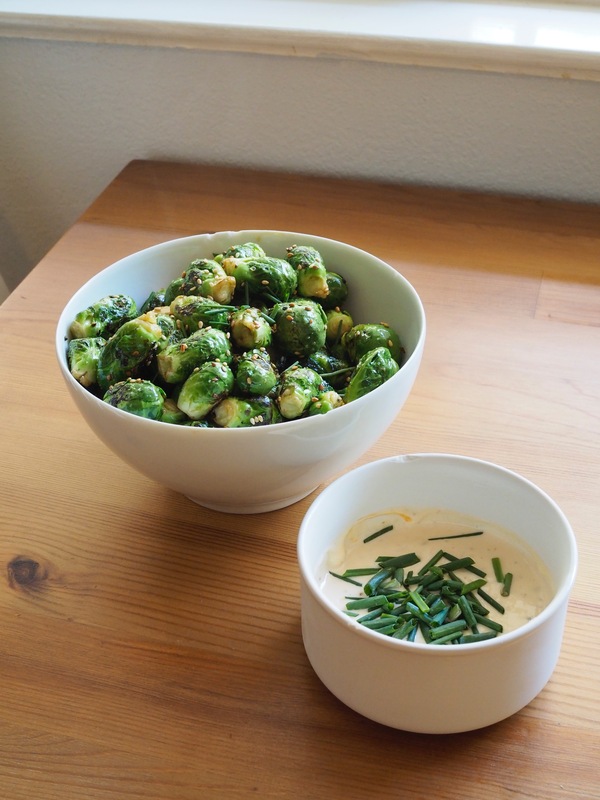 Crispy Sesame Brussel Sprouts & Habanero Aioli — Oh Wonderful! My apartment is full of boxes and therefore in shambles, I watched too much Sons of Anarchy and by Sunday night, I felt like that the bike club anger had rubbed off on me. I had to make something hot, crispy and slightly messy to complement my mood. Enter, these Crispy Sesame Brussel Sprouts and Habanero Aioli dish that Jax Teller would probably never eat. But I definitely did as I finished seasons five and six of the series. 1. Rinse and dry your brussel sprouts and set them aside. Meanwhile, heat a pan on medium-high. 2. Place your olive oil in the pan and toss in your brussel sprouts. Sauté for 5 minutes with salt, pepper, and sesame seeds. Dash in a bit of chili oil and cook for another 1-2 minutes. 3. Once they’re cooked and crispy, remove from heat and season with more salt and pepper and top with sliced chives. 1. In a small bowl combine the mayonnaise, lemon juice, hot sauce, cayenne pepper and salt and pepper. When you’re ready to serve, top with the remainder of your sliced chives. Enjoy!